What’s in a name? Or two? For 50 years, Pete & Elda’s has been a mainstay of thin-crust pizza in Neptune, and almost always ends up on pizza “Best Of” lists for New Jersey. We had to check it out. The building and location is certainly nothing special, but it was packed…PACKED with people, so we had high expectations. After a very long wait in a very crowded and noisy bar area, we were seated. We really wanted to be wowed, not by the surroundings, or even by the wait, but by the pizza. 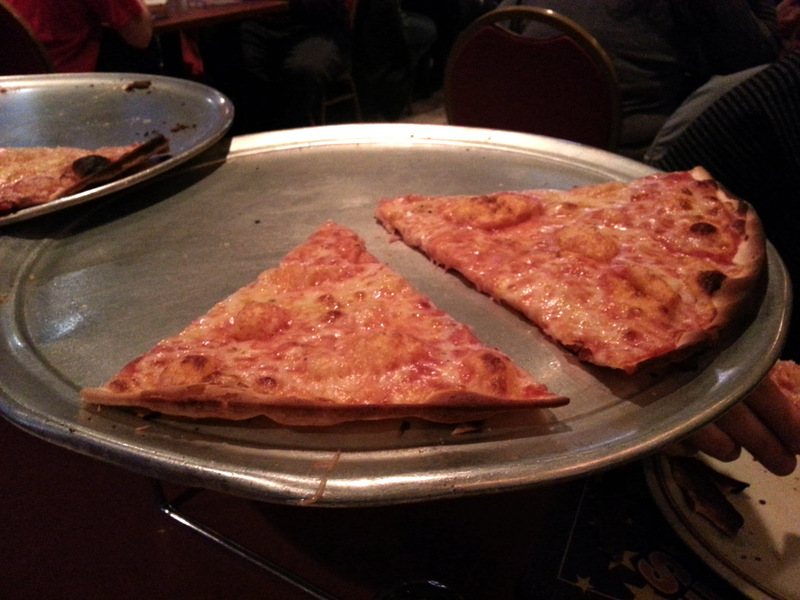 We kept the order short and to the point: two famous thin crust pies, one plain and one with fresh garlic. We were quite hungry and were pleased that the long wait in the bar area was not duplicated for our table service. We dug into our pies and were…not wowed. 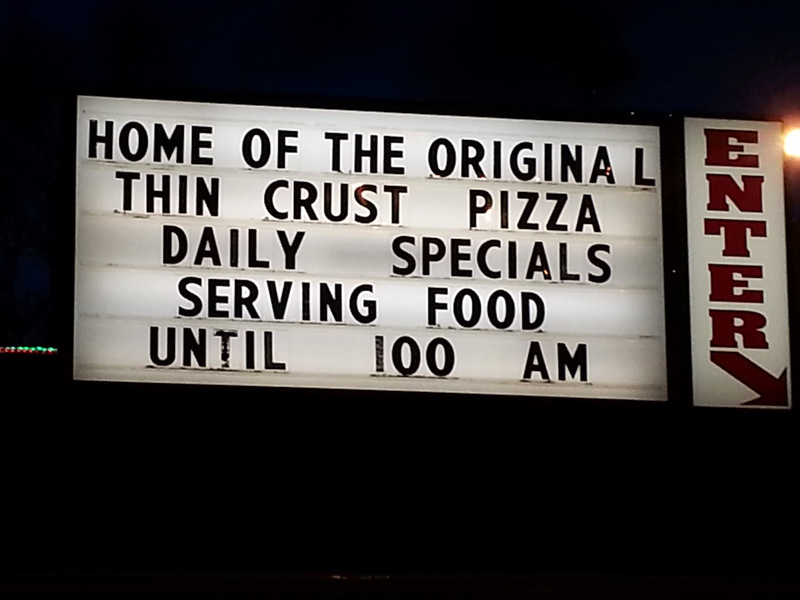 Admittedly, it was very thin crust. And admittedly, it did not taste bad. But a Best Of in the pizza stronghold of New Jersey? We think not. Federici’s in Freehold…Conte’s in Princeton…Esposito’s in Matawan…Brothers in East Brunswick…DeLorenzo’s in Trenton…and so many others are better. Leaps and bounds better. You could starve while waiting in line til 1 a.m.
There’s lots of other stuff on the menu, but honestly this place, which oddly is also known as Carmen’s Pizzeria, is really about the crust, cheese and sauce. They are known for their “eat a whole large pie, get a free T-shirt” policy, which, once we saw how thin the pizzas really are, seemed too easy. And seemingly to prove our point, several teenagers left holding their Hanes Beefy prizes right under our noses. The takeaway? Sadly, not worth the wait.